Win tickets to NT Live's Who's Afraid of Virginia Woolf | Daily Review: Film, stage and music reviews, interviews and more. NT Live’s Who’s Afraid of Virginia Woolf will screen across Australia from August 19, but Daily Review has tickets to give away to special preview screenings. We have five double passes for the Sydney screening on Wednesday 9 August 6:00pm (sharp) at Newtown Dendy, King St Newtown, and five double passes for the Melbourne screening on Wednesday 9 August 6:30pm (sharp) at Cinema Nova, Carlton. For your chance to win, enter your details here and make sure you’ve liked us on Facebook to boost your chances of winning. 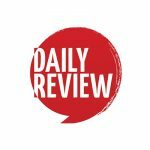 This competition is promoted by dailyreview.com.au and will be drawn on 31/7/2017. The competition is open to residents of Australia and New Zealand unless stated otherwise. Information on the method(s) by which the competition can be entered are found here. Daily Review does not endorse, take responsibility for or provide a warranty of any kind for the prize(s) offered in this promotion, nor do we provide any transportation or accommodation that may be necessary. By entering this competition, you allow Daily Review to share your contact information with the company/companies providing the prize(s) to enable delivery of the prize(s).